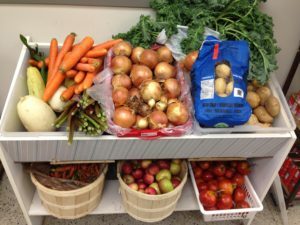 Our food bank provides people with fresh and non-perishable foods. You are welcome to use this service once in every calendar month by appointment only! 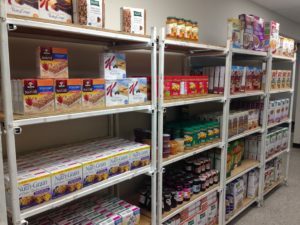 On the day of your appointment, once you check in at the reception desk, you will be welcomed into the food bank and guided by a volunteer where you will choose your own foods. Respect is at the heart of the Agapè Centre. Please respect the time and effort of our staff and volunteers by showing up to food bank appointments on time. If you cannot make it to your appointment, please call us at 613-938-9297 ext. 126 to let us know so that we can call families waiting for food and offer them the appointment.